YOU GUYS. I’m back with the Meyer lemons again. I can’t stop won’t stop singing their praises, it seems. 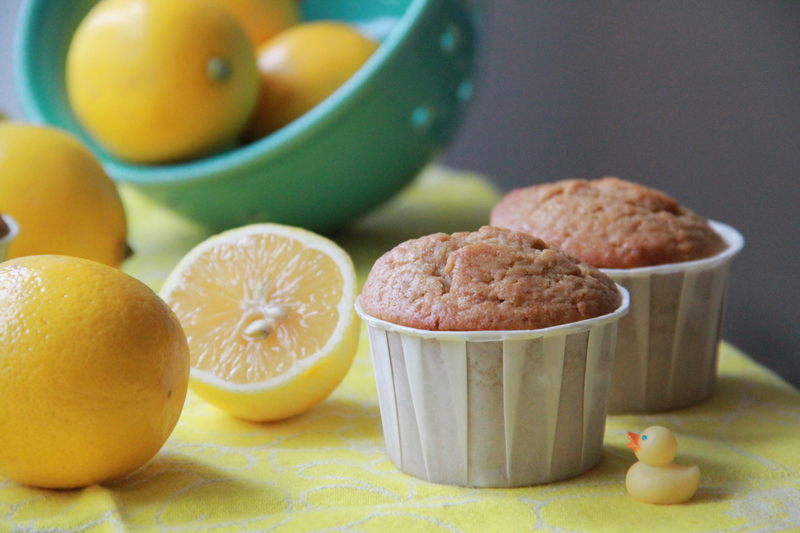 But the things a Meyer lemon can bring! So many wondrous and enchanting and damn good things. 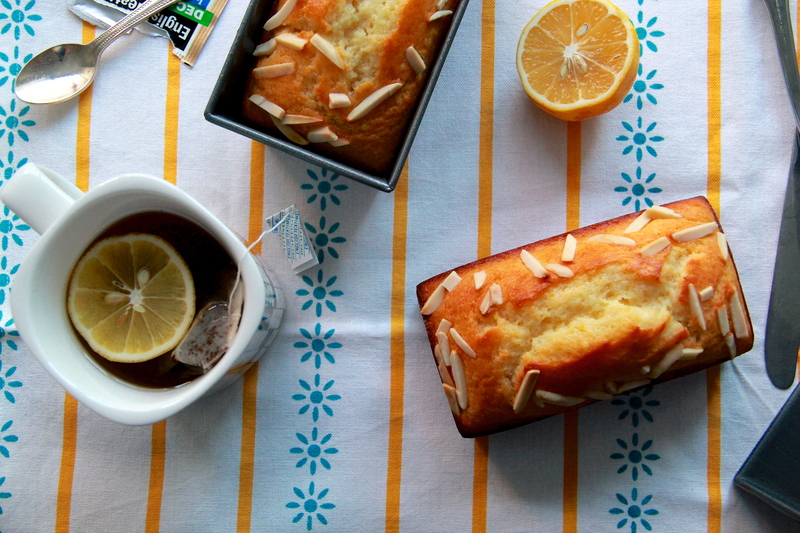 Things like lemon almond loaf cake. And muffins with gingerbread zing. And mousse! Moose. Mousse. Oui. See the things? I want all the things. Let’s talk about this mousse – about how it’s bright and fresh and amazingly light, both in texture and in life. Caloric life. Or whatever. It’s reduced-guilt mousse! Is what I mean. 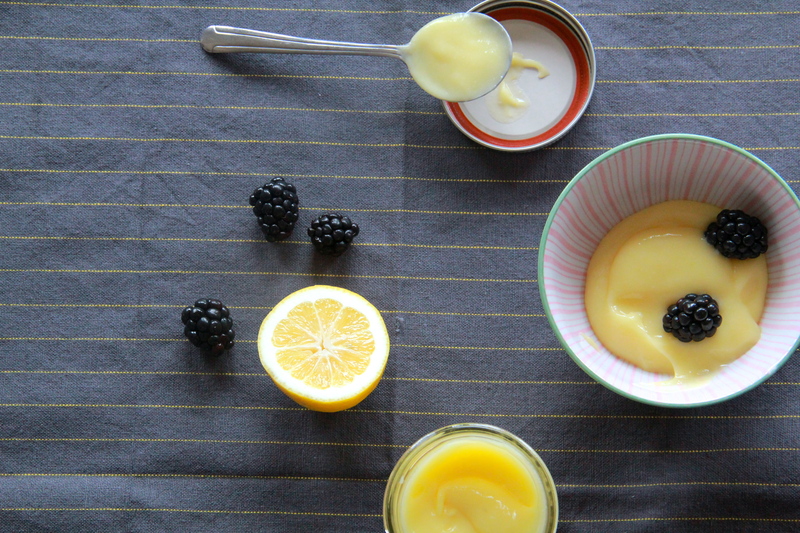 It starts with a vibrantly tangy, way-fewer-than-normal-eggs-and-also-butter-free Meyer lemon curd (that’s right, I said reduced-egg and butter-less curd. Skeptical? It’s an amazing thing of beauty. FAITH). 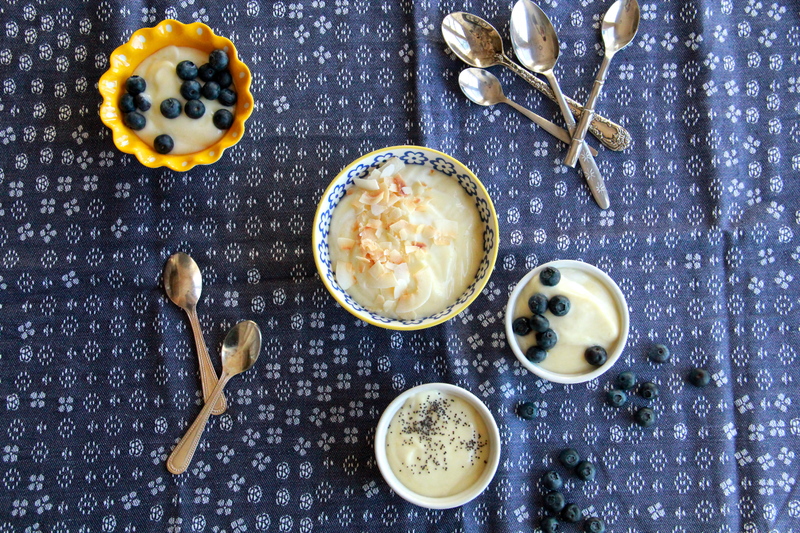 It ends with some maple-sweetened and whipped-silly Greek yogurt. Plus toppings. And who doesn’t love toppings? Nobody doesn’t love toppings, that’s who. So? What are you still doing here? Go get yourself some Meyer lemons and a spoon. You can have all the things. 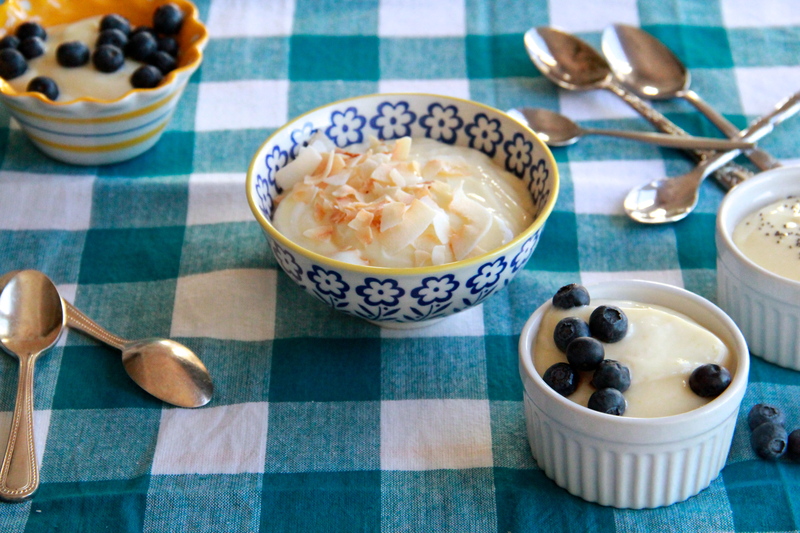 I loved shamelessly downing spoonfuls of this lovely mousse for dessert, but I sort of feel like it’s healthful enough to pass off as breakfast, what with the ample amount of yogurt present and the fruity toppings and all. True, the sugar content might give you pause, but when was the last time you turned down a perfectly good bowl of Cinnamon Toast Crunch? In a medium saucepan, combine the lemon zest and sugar by using your fingers to rub the two together – this helps release the zest’s flavorful oils (and it turns the sugar a very satisfactory shade of yellow). Add the lemon juice, and whisk to combine. Place the saucepan over a medium flame and whisk until the sugar dissolves. Turn off the heat. Whisk the eggs together in a medium bowl. Very slowly drizzle the warm lemon juice mixture into the beaten eggs, whisking constantly, to combine without scrambling. Once combined, beat the mixture for an additional 2 minutes (it will get quite frothy). Pour the curd mixture through a fine sieve and back into the saucepan over low heat. Cook the mixture, stirring with the whisk continuously, just until it begins to bubble (roughly 5-10 minutes). Remove curd from the heat and transfer it to an airtight container. 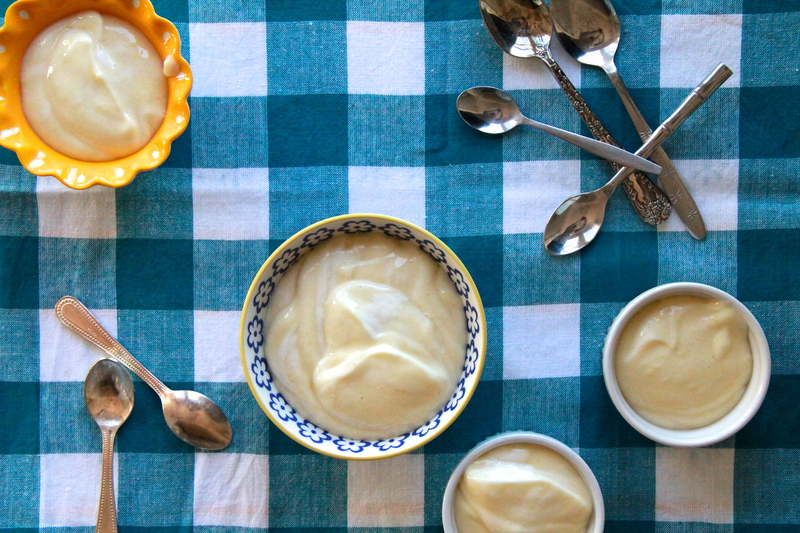 Chill the curd in the refrigerator for an hour or two before combining it with the whipped yogurt. While the curd chills, place the greek yogurt and maple syrup in the bowl of an electric mixer fitted with the whisk attachment. Whip yogurt on high speed for 2 minutes, until airy. Fold together the chilled curd and whipped yogurt until fully combined. 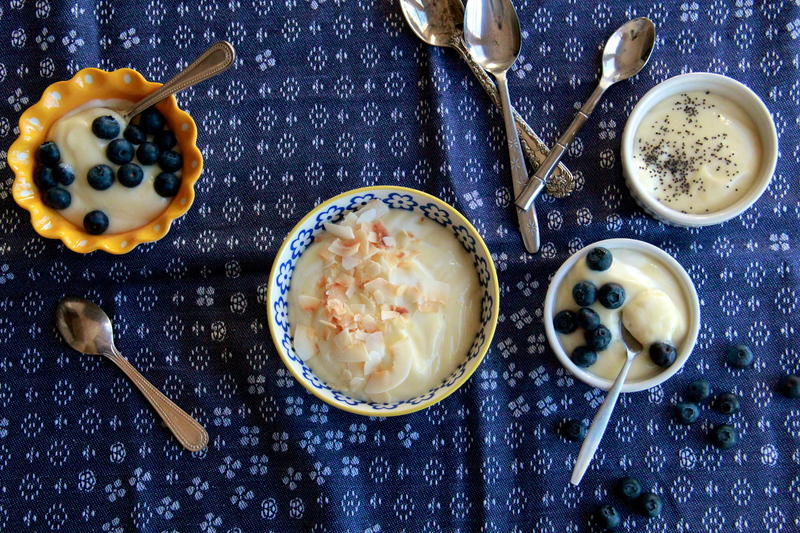 Spoon mousse into serving cups, and top with fresh berries, toasted coconut or poppy seeds, if you like. Note: if prepping in advance, spoon mousse into serving cups, press plastic wrap on top of each serving (this will prevent a skin from forming), and chill in the refrigerator until ready to eat (up to a day in advance). Makes about 3 cups mousse.